Did you know there are approx. 45 different variants of the Divers Sixty-Five; perhaps even more if we consider the Movember and Carl Brashear models! Today we have a special edition designed for World Cleanup Day, which is on September 15th and involves millions of volunteers in 150 countries uniting to clean up the world in a single day. 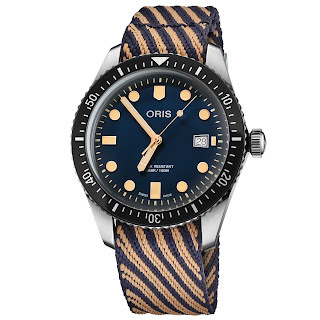 The Divers Sixty-Five Cleanup is presented on a special strap made of recycled plastic – I’m not sure that I’m a massive fan of the diagonal striping but who cares it’s in honor of a great cause. The special strap has beige and blue weave made entirely of r-Radyarn, a low environmental impact product made from 100% post-consumer recycled PET bottles. 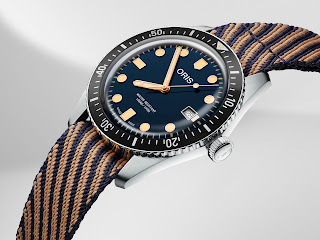 Other features of the watch incl. a dark blue domed dial with Light Old Radium colored SLN hands and markers. Its case is 42mm in diameter and is made form Stainless steel. It is fitted with a unidirectional bezel with an aluminum inlay as well as a domed AR-treated Sapphire crystal. Water-resistant is up to 100 meters. 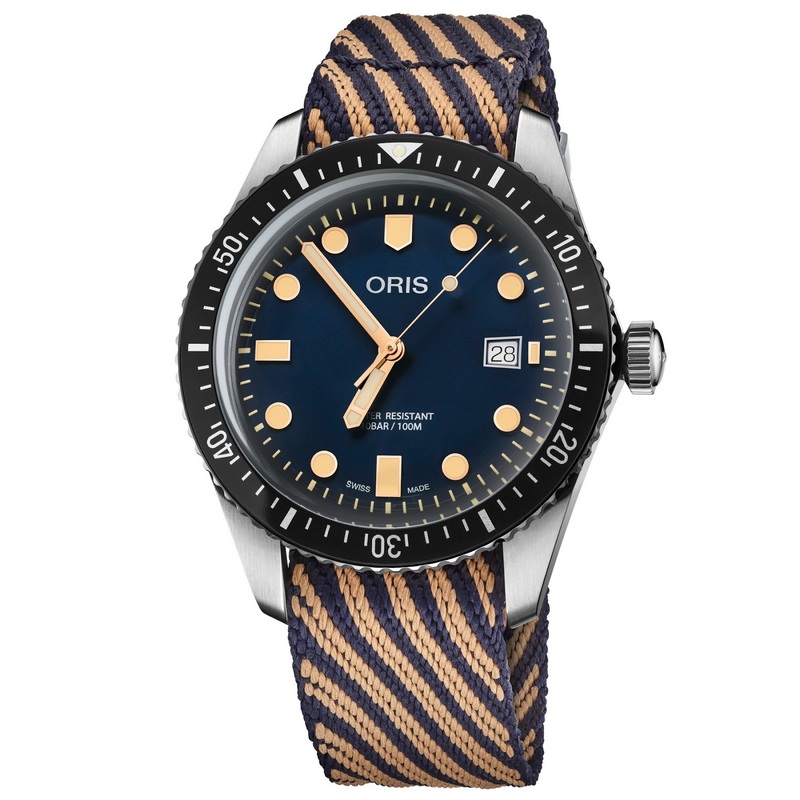 Power comes from an Oris 733 automatic caliber 733 (base Sellita SW200-1) with 26 jewels and a power reserve of 38hrs. 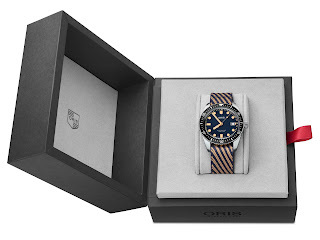 The Divers Sixty-Five Cleanup will be available from mid-September, priced 2000CHF.